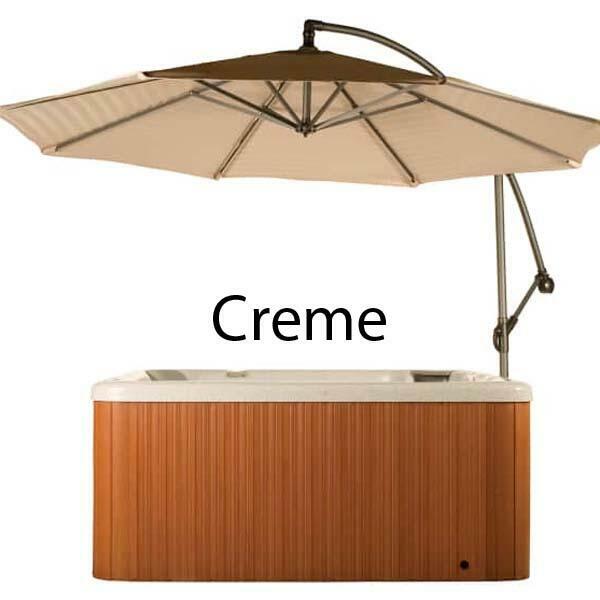 There is nothing like slipping into a hot, bubbly spa on a rainy evening. Spas placed under traditional gazebos protect you from the elements, like rain, but allow you to soak up the ambience of the outdoors. 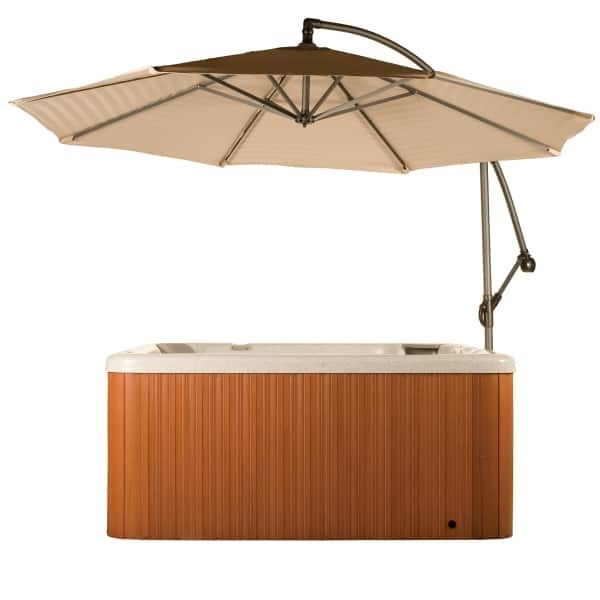 Some spa owners are not ready or willing to build an outdoor gazebo, but they’d like increased use of their home spa. 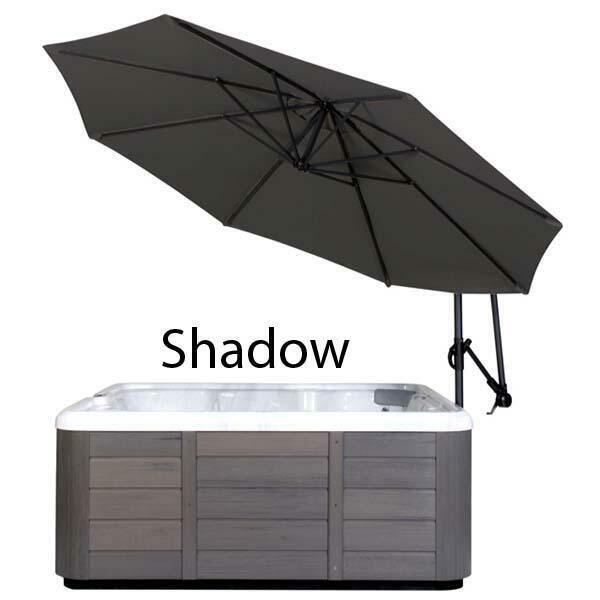 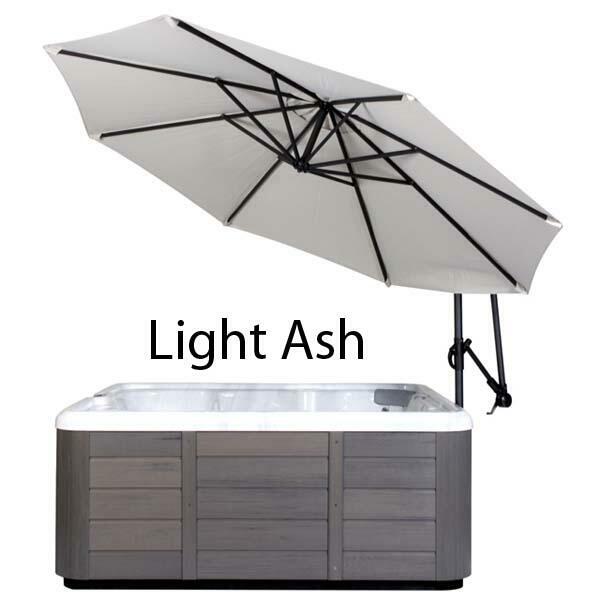 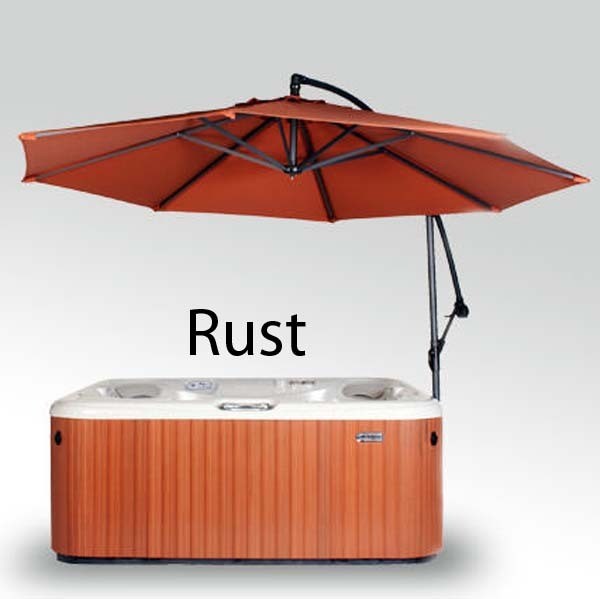 The Spa Side Umbrella is an easy to install alternative to traditional gazebos. 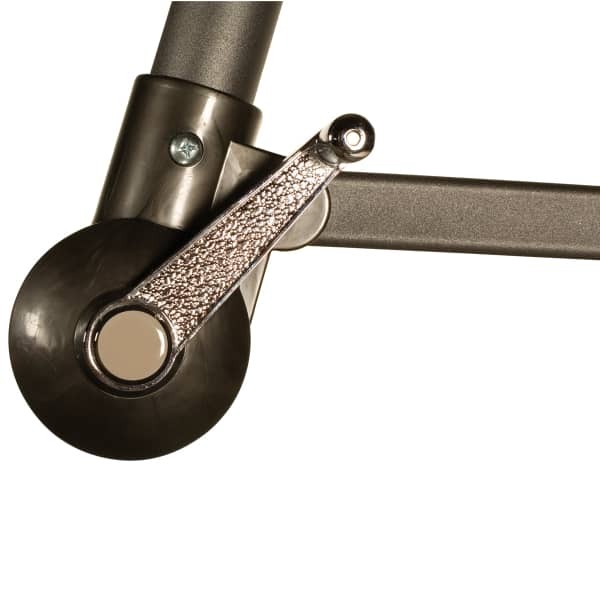 It allows for 360 degrees of travel, plus a crank and tilt mechanism that allows for unique and flexible coverage. 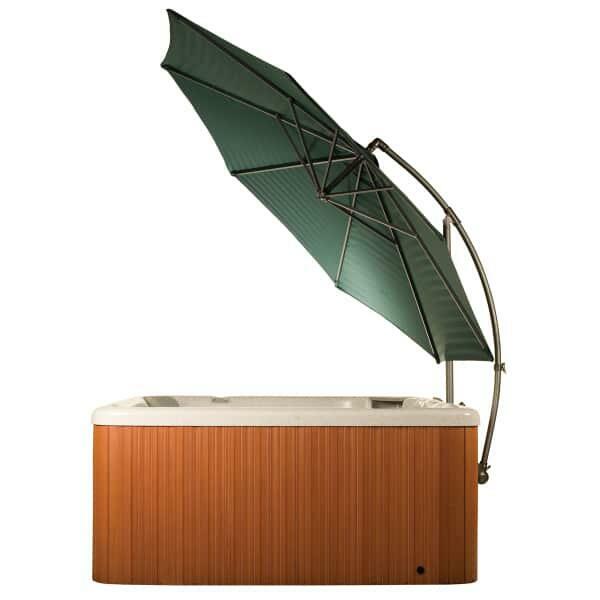 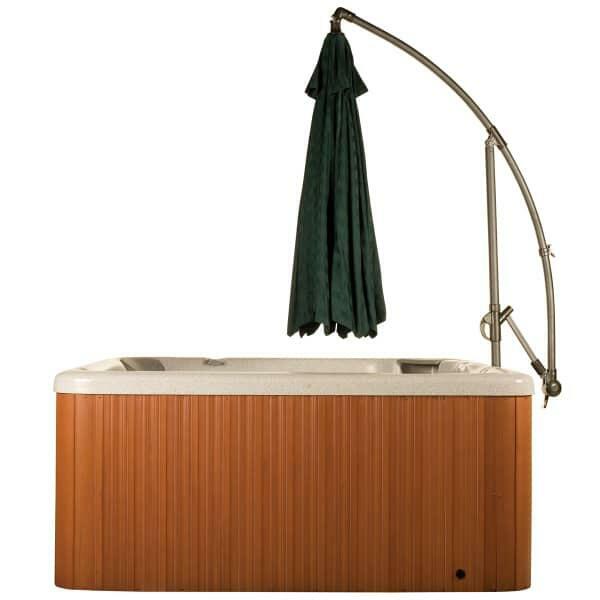 The umbrella comes in multiple designs to complement your unique spa environment.